Make long lasting changes and quit smoking naturally with Hypnotherapy in a single 90 minute session in person or via Skype. Having successfully helped many clients quit smoking I am so confident I can do this for you. Rest assured I am a member of the UKCP (UK’s Council for Psychotherapy which Hypnotherapy is a part of) and CNHC which provides you with government backed reassurance that I am an approved and qualified and experienced Hypnotherapy professional as well as working to ethical standards. If you are unsure just give me a call or email me and I can describe more about how and why this process would work for you. Whether you are ready to book a session or have any questions you can contact me here. I offer value for money Hypnotherapy and Psychotherapy but rest assured this does not mean less experience, qualifications or service levels. Think of the renewed vitality, energy and wellbeing you would move towards. A single session hypnotherapy investment of £145 is all you will need to save in most cases literally £1000’s per year. Have you failed to stop smoking with will power alone? Have you tried nicotine replacement products with no or limited success? Are you afraid that you’ll never be able to quit, or that you’ll loose something by giving up the cigarettes? Studies have shown that hypnotherapy can be far more successful in helping you to break the habit than other methods available. 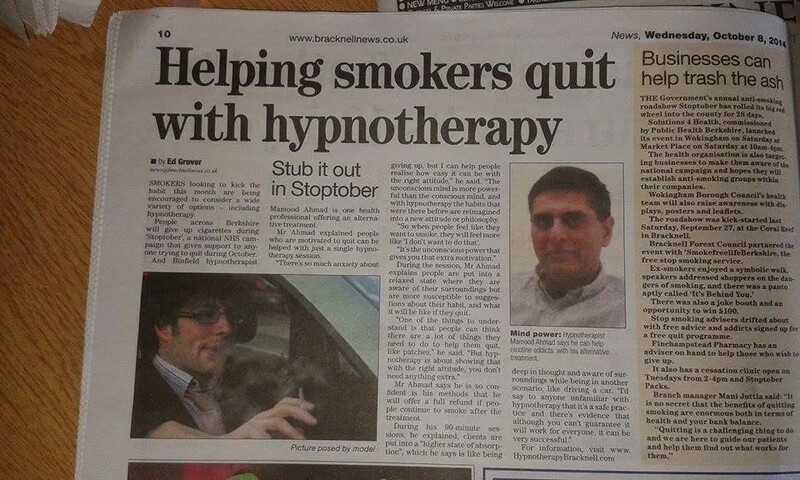 Hypnotherapy is so successful because it deals with your unconscious reasons for smoking, the reasons that get in the way of your conscious desire to stop. Once these are out of the way we are then free to use the many techniques, that when tailored to you, will provide the breakthrough that allows you to become a non-smoker and perhaps in a shorter time-frame than you might imagine. If you are ready to quit, if you are ready to choose health, contact me today. Quit smoking in a single session ( 90 minutes in duration ) in which you will be able, as long as you are ready, to quit smoking and look forward to all the benefits of health, energy and cost savings.